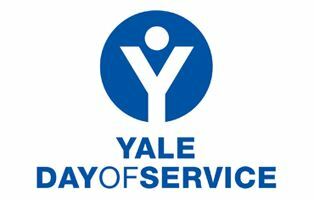 Day of Service is one of the flagship events in the YCL's calendar of events. Mark your diary to join with fellow Yalies in reaching out to the wider community. This year we will again be partnering with the British Refugee Council. We have a full day's activities planned, but please feel free to participate as you are able -- just let us know! The day will start with a boat ride from London Bridge Pier to Greenwich Pier. We’ll head straight to the park for some ice breaker activities and games, followed by lunch. After lunch, we’ll break into smaller groups with activities tailored to the range of young people - from those who’ve only recently arrived on their own in the UK to those who’ve been here for a year or so and have begun their journey towards higher education or training for a profession. There are keen scientists hoping to be doctors and a young man who dreams of becoming a human rights lawyer. At the end of the afternoon, Joe Jakes of the Refuge Council would like those with the confidence and fluency to tell their stories to the group as a whole, to inspire those who are just beginning their story in the UK and so that we can gain a deeper insight into the hopes and dreams of those who arrived in the UK as unaccompanied minors. Funding: Last year, people who were not able to attend made generous donations, totalling over £200. The Club covers all the expenses for the young people, Joe and one of the female staff from the BRC. Last year we hosted 12 young women. This year we’re hosting 18, so we’ll be looking to raise at least another £100 to cover transportation, for a total of £300. Tempus fugit and on Saturday may 13th the boat sails. Reach out to others: Please connect with other alums who’ve yet to be part of a YCL DoS and encourage them to join the fun. There will be updates via the newsletter and website. For more information about the event: Please contact Margaret Glover: glo.mar.eli@gmail.com or 07813901977. Registration: To register for Day of Service, please click here.